Hello and welcome to Comprehension Connection! My name is Carla, and as you can tell from my blog title, I love literacy. I’ve been teaching at the elementary level now for 27 years. About half of that experience was in the regular classroom with grades 1, 4, and 5 and the other half has been as a reading specialist and literacy coach. Last year, I needed to take early retirement to care for a family member, but I continue to be passionate about all things literacy. I thoroughly enjoy creating resources and experimenting with technology. I absolutely love teaching and connecting with my school kids who have become an extension of my family. The stories they've shared with me about their life adventures and their enthusiasm about the books they are currently reading motivate me to do my best for them, and I have really enjoyed sharing resources I’ve designed and stories I’ve written with them. My hope was always that they would see how much I love to write and imitate me in the future. The classroom pictures are from my time in the classroom. 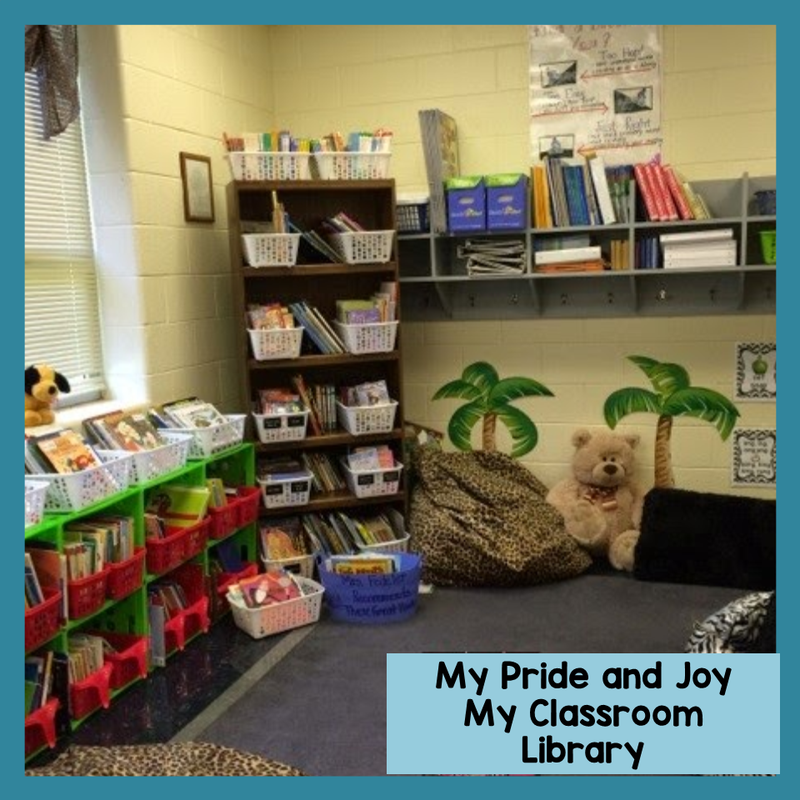 The place I loved most in my room was my classroom library. It took me a LONG time to gather up all my books, and I love that they got lots of use with children. I;ve always enjoyed sending takehome books because many of my kids didn't have access to books except those they borrowed from school. 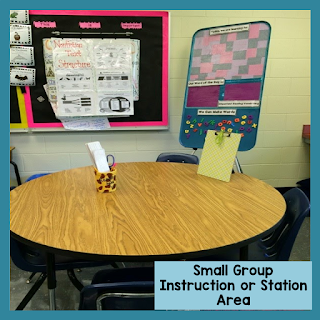 As a reading specialist and interventionist, the key to growth is small group instruction. This means the reading table is a pretty important piece of real estate. 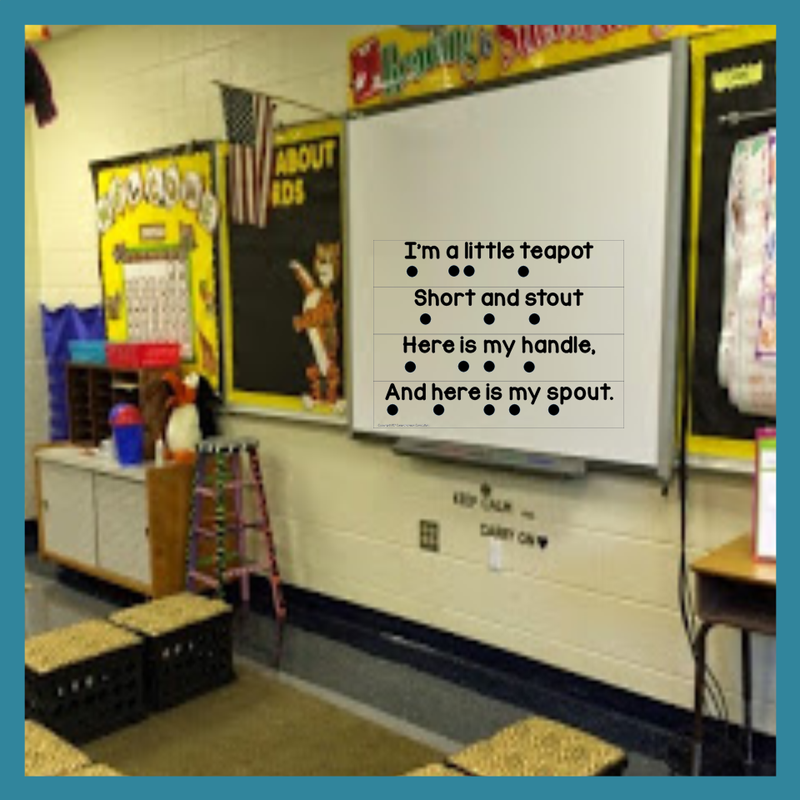 Everything you need for close reading, word study, interactive notebooks, and modeling must be right there, and yet, you have little people moving in and out. So I make use of any "wall" space for things I refer to. 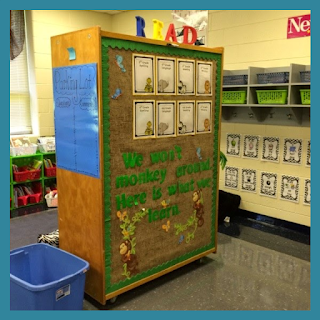 You can see I kept interactive bulletin boards, space for hanging anchor charts, and dry erase boards for instruction. You can also see my rolling carts that hold all my "gear" for my lessons. I love having book bins for the kids. They kept these in their cubbies for in-class reading time. This particular year, I was the reading teacher of record, so I had my groups for an hour and a half. (8 in one group and 10 in the other) With the group of 10, I had an assistant push in and run the stronger of my two groups on a few days. Because I often worked with an assistant, I also liked having a second area for her to work with small groups or for setting up literacy stations for those not working with me at the moment. In my last year of teaching, I moved from intervention to coaching, and I really enjoyed it. I missed working with the same children every day, but still, I got to team teach quite a bit in different grade levels, and honestly, one of the things I love about coaching is sharing resources and ideas with my colleagues. 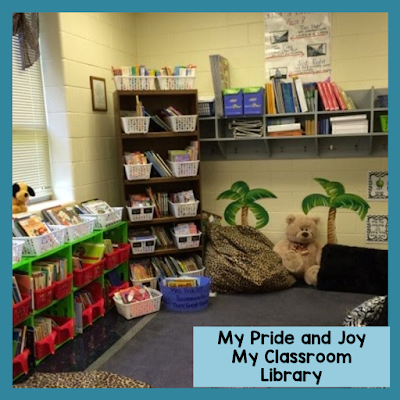 When I completed the Masters of Reading Education program through the University of Virginia, the final course was Elementary Reading Programs. 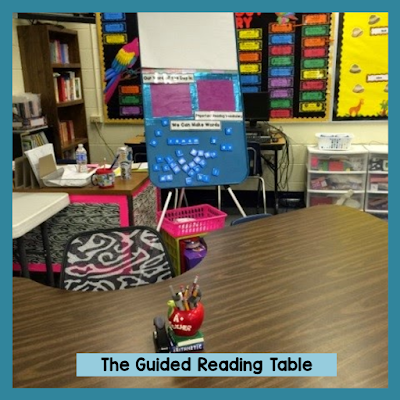 The content focused on developing your school reading program and coaching teachers. 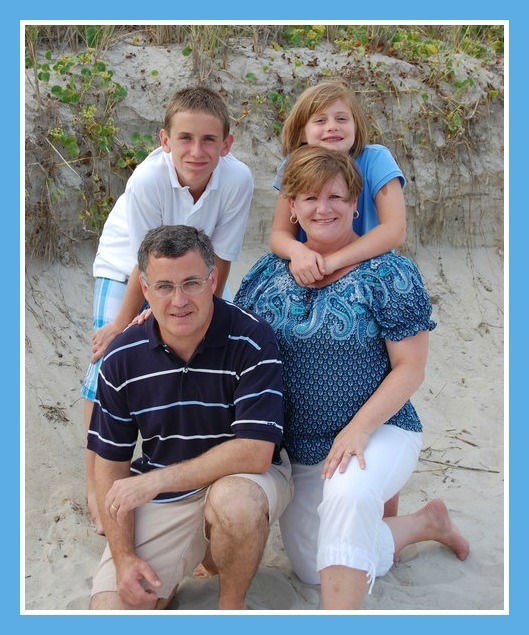 It was shortly after completing this program that I began blogging. The vision I had for my blog was to sort of “Cyber Coach”. I don’t think that’s a real word, but if it were, I’d define it as sharing ideas to mentor colleagues and new teachers without imposing on them. I think there are many teachers who truly want to learn new ideas or techniques, but may not feel comfortable reaching out and asking for assistance. On the contrary, there are many amazing teachers out in the big wide world that know different ways of doing things when what you've tried hasn't worked. That’s the beauty of blogging. You can be anonymous when you ask questions or when you read on your own, and you can share or not share when you feel called. Blogging has definitely helped me really think about what's working, what needs tweaking, and what doesn't work at all. It's also helped ME grow in ways I never even imagined What I did not realize as I began my blogging adventure was how blogging would help me to learn and connect with knowledgeable teacher bloggers who have become my real life friends. It is so wonderful being able to join with them to share our passion for reading and books, go to them when I have questions, and share other points of view through our connections. In fact, we have a Facebook group that formed about 5-6 years ago that has grown to 95 specialists. Imagine the fun we have when Teachers Pay Teachers hosts the annual conference. Many of us in one place! Eek! You can follow group events on The Reading Crew. When I’m not involved with designing curriculum and blogging, I am off enjoying time with my family. Here is a picture of my crew from years ago. My children are now 22 and 16. Time flies! I’ll be celebrating our 29th wedding anniversary with my husband, Joe, this summer. In addition to our two kiddos, we have one fur baby named Molly. Our son, Sam, graduated last spring from NC State University with a major in physics and computer science and is currently working on a PHD program in aerospace engineering. Our daughter is in the tenth grade. She is my artsy, musical child. When she’s not singing or making something, she’s usually on Pinterest looking for something to make or do. In my spare time, I enjoy cooking, reading, and traveling, which is why I went for the travel theme for my blog design. If you have made it this far, congratulations! You’ve earned a medal (or free resource). I hope that you’ll visit often and share with me your passion for teaching too. Until next time, happy reading and come back soon!